Aparna handles transactional matters relating to trademarks, trade-names, copyrights and related rights, information technology. She is primarily engaged in drafting, reviewing, revising, advising and counseling work with respect to license and assignment agreements, franchising agreements, co-branding agreements, distributorship agreements, joint-venture agreements, sale and purchase agreements, vendor-ship agreements, import/export agreements and other such rights structuring activities. Her profile includes advising clients on royalties, payment of stamp duty, filing returns and other tax-compliances. She is also actively involved in valuation of trademarks, copyrights for transactional purposes. Aparna also has expertise in conducting searches and providing clearance opinions with respect to availability for use and registration of trademarks, services marks, geographical indications, trade-names, domain names, gTLDs, ccTLDs and copyrights based on searches at the TM Office database, Copyright Office database, GI Registry database, WhoIs search, MCA database search, online investigations, market enquiries and surveys, common law sources, searches for International Non-proprietary Names (INNs) and INN stems, etc. She also conducts design mark searches using the Vienna Design Codification system. She regularly advises client with respect to the exclusive use of the marks in respect of designated goods and services and the chances of registration, successfully overcoming an objection/challenge by Examiner or third party based on the basis of existing marks and chances of successfully challenging any third party against infringement use. 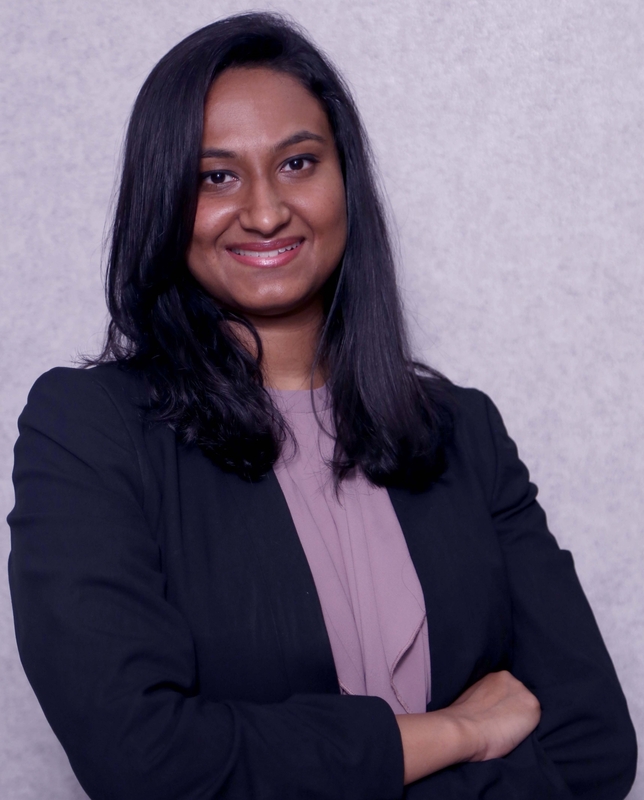 Aparna also handles work related to prosecution and rights registration for a range of clients. She advises clients on the prosecution aspect of trademarks, service marks, trade-names, domain names, geographical indications, copyrights, etc. She is engaged in preparing filing and prosecuting applications for registration of trademarks, service marks, copyrights and GIs, responding to office actions, attending hearings, maintenance of portfolios, etc. She also has experience in obtaining registrations for trade-dress, trade-names, company names, domain names, placing back-orders for domain names, etc. Her work also involves advising and assisting clients in title updation, preparing affidavits of use and commencement of use of trademarks, recordal of licenses etc. at the relevant authority.